Explore - The Lost World. 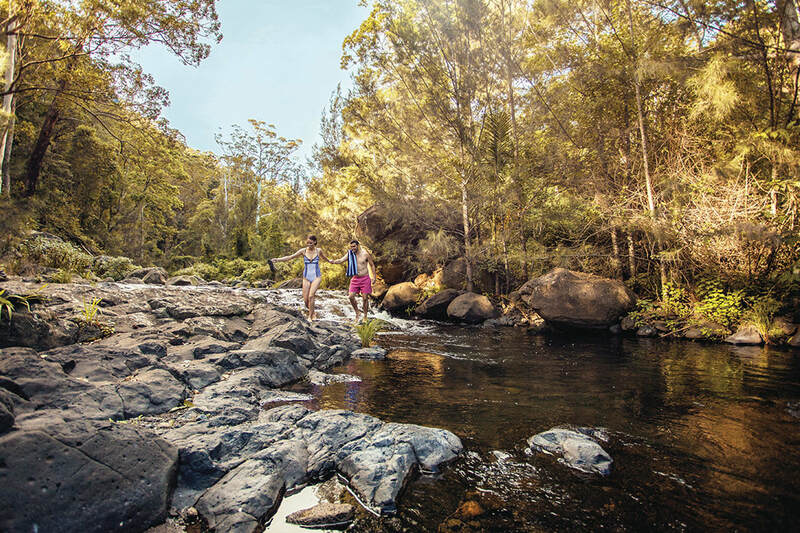 Overlooked by the dramatic razorback mountain and Lamington plateau, the valleys of the Lost World are a mix of mystical tangled forests, lush green pastures, wild rivers, pristine rock pools and off-the-track surprises. There are no crowds, theme parks, shops or restaurants. Instead you’ll find quiet secluded spaces, to relax in nature, to let children run free and to walk alone in untamed Australian rainforest wilderness. 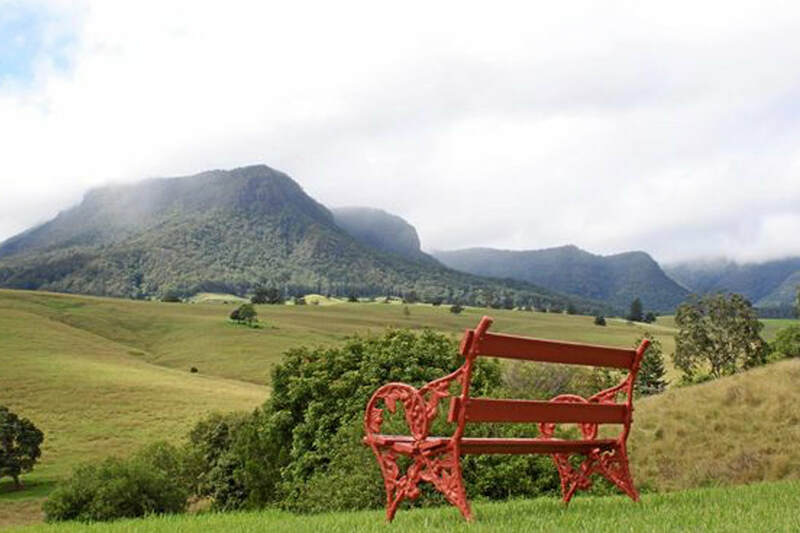 The Lost World is situated at the wilderness end of Lamington National Park. The magic of World Heritage listed rainforest is close here and is accessible from the Lost World. A short rock hopping expedition up river will reveal the beautiful bubbles of rock pools and dense green walls of forest vegetation. Lost World is actually a hidden plateau - a green shelf on Razorback Mountain - found long ago by the adventurous O'Reilly's who imagined that anything could have remained hidden on this magical step between mountain and sky. The valley below is a very beautiful one where today the hustle and stress of the outside world is easily lost. The Upper reaches of the Albert River slip through Lost World Valley and retain the pristine quality of their source. The river supports fish restocked by the Carp Busters group and plenty of catfish and eels. Swimming holes abound and their chill is welcome on a warm summers day. 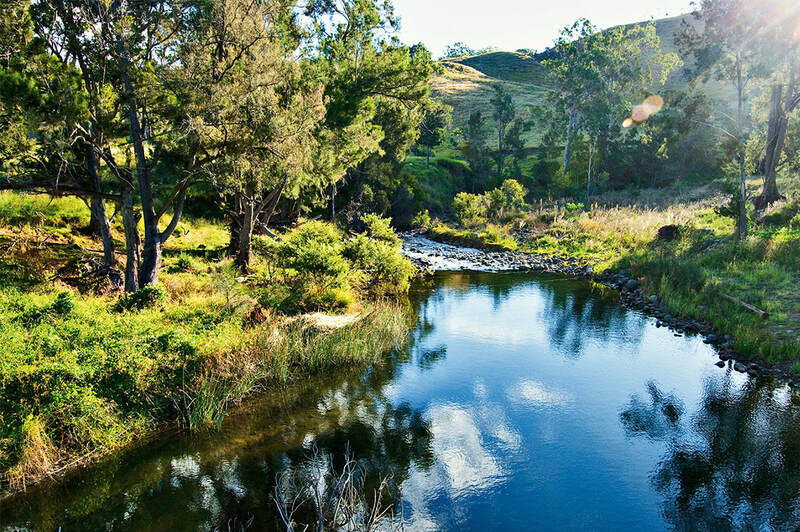 Kerry's neighbouring valley, Lamington, boasts the pristine Christmas Creek which flows straight from the rainforest to you. 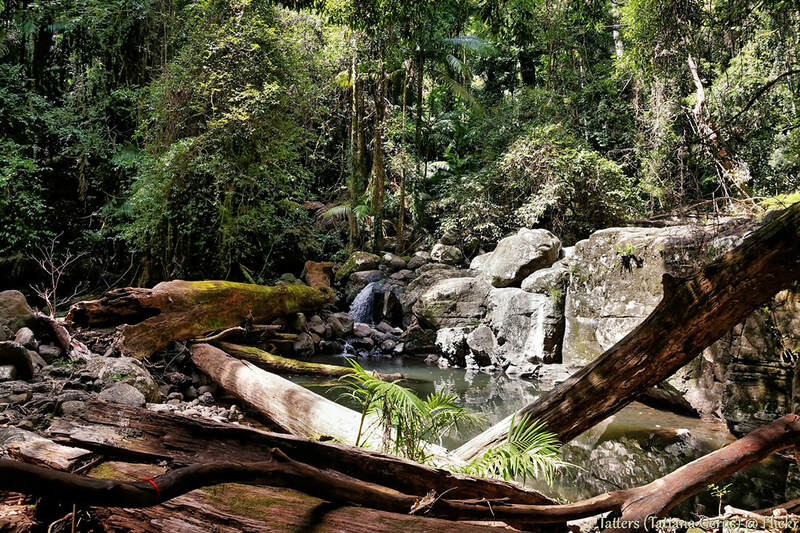 Swimming holes are frequently found - especially along the track to Westray's grave - and World Heritage listed rainforest frames the pools. There are plenty of fish to catch and release here too. From here find access to the start of the walk to the site of the famous Stinson plane crash or a pleasant half day walk to the grave of the young Englishman Jim Westray who survived the crash only to die in a fall down a waterfall while seeking help...so watch your step! The Mt Joyce Recreation Park was developed as part of the Wyaralong Dam Project. The dam has been constructed on the Teviot Brook, approximately 14 kilometres northwest of Beaudesert in the Logan River Catchment. The storage holds up to 103,000 megalitres of water when full, creating a water body that stretches for some 26km along the Teviot Brook. 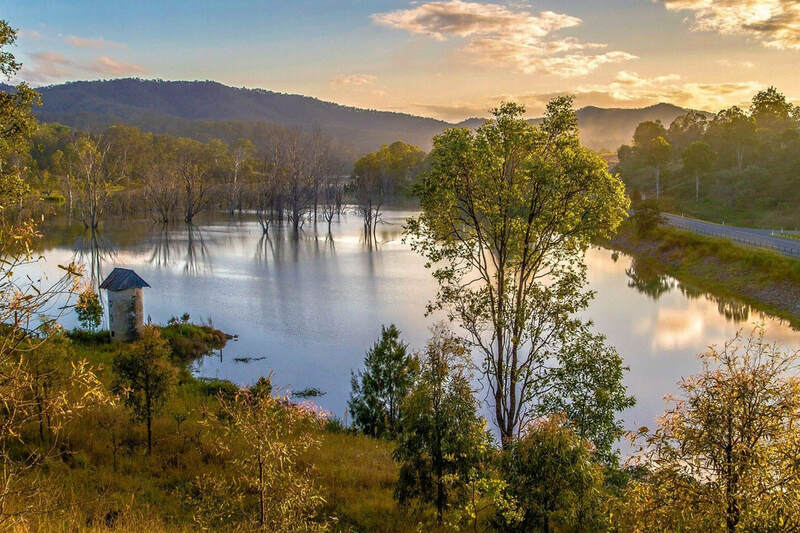 Wyralong Dam and Mt Joyce Recreation Park are popular for fishing, kayaking, camping, horse riding, mountain bike riding, walking and picnicking. Wildlife abounds in The Lost World. Pretty faced wallabies are more curious than timid and hop reluctantly away. There are smaller marsupials, possums and echidna and even a shy platypus or two. 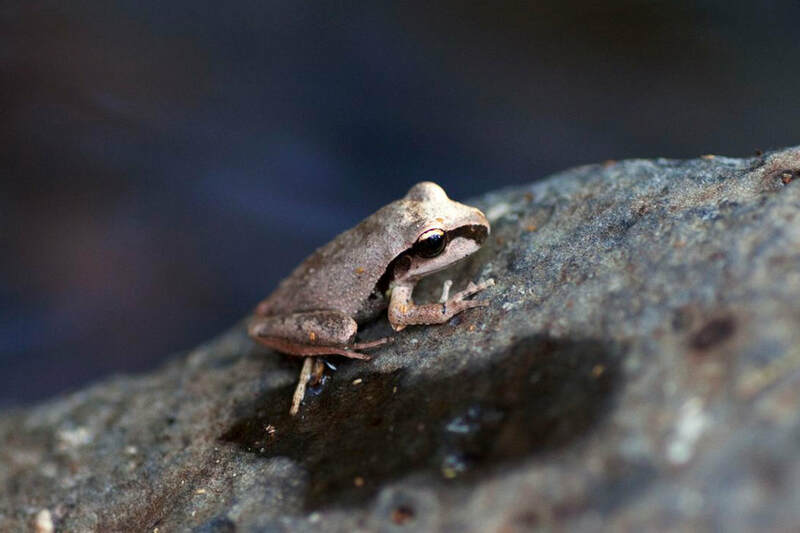 Myriads of birds of exotic colour and sound practice flybys and there are frogs who need an expert for identification. Not to mention the reptiles! ​Vegetation includes dense rainforest and more open sclerophyll forest with a wide range of flowering trees shrubs and herbs. Bush food includes wild limes, watercress, lemon myrtle, ginger and pepper, macadamias, Davidson and Burdekin plums, tamarind and yellow box wood and many more. October/November is Silky Oak month when the Albert River is awash in the golden glow of these beautiful trees. Mathew & Susan Horan started their new life in Australia in the early 1870’s before selecting land at Kerry in 1874. Mathew built a slab hut close to the Albert River in 1874 to allow his family easy access to water. A tremendous flood swept through the valley in 1887, causing the family to seek safety for the night on the rails of the cattle yards. 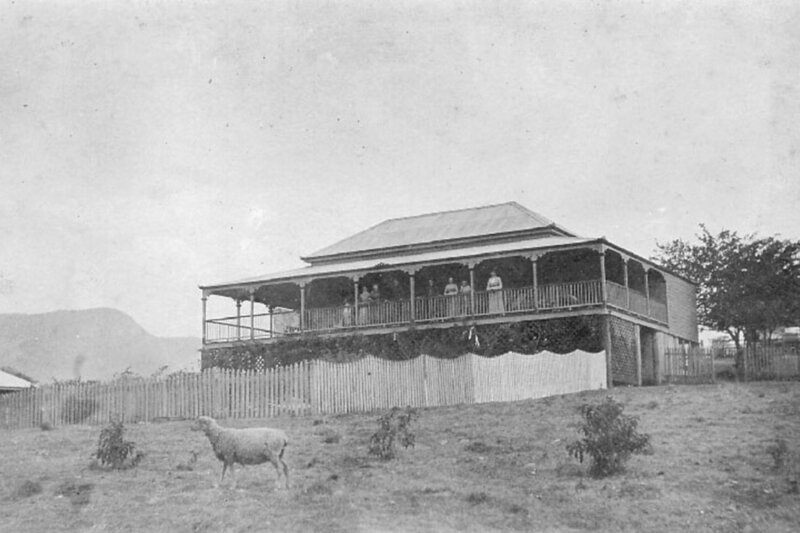 It was this event that triggered the decision to build a home on higher ground; the homestead was completed in 1888, the first sawn timber home to be built in the area. When Mathew’s son Ronald left to fight in WWI, Mathew began the partnership, Horan and Tommerup which he ran in partnership with the remainder of his children. After the death of Mathew’s wife, his daughters, Katie & Gathie, took over running the household and farm with their father, assisted by Katie’s husband, Hannibal Tommerup. The farm has been passed down through generations of the Tommerup family ever since. 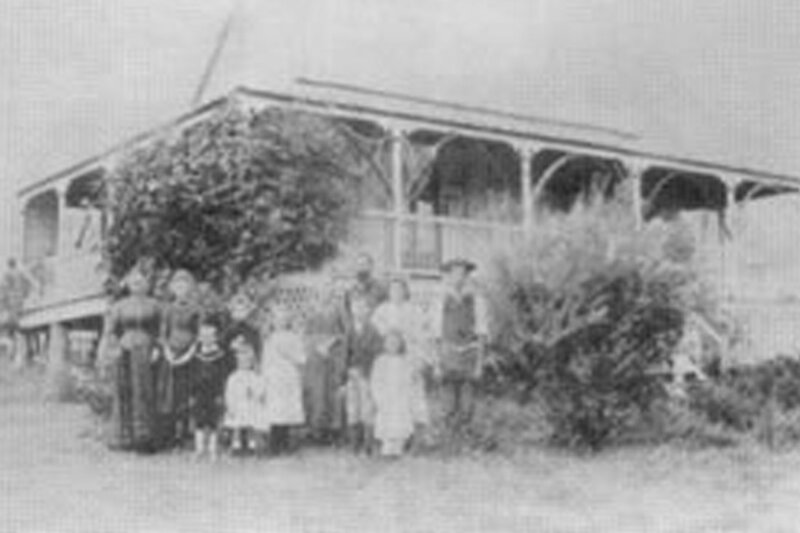 The original homestead still stands today and along with The Cottage, provides accommodation for farm stay visitors. 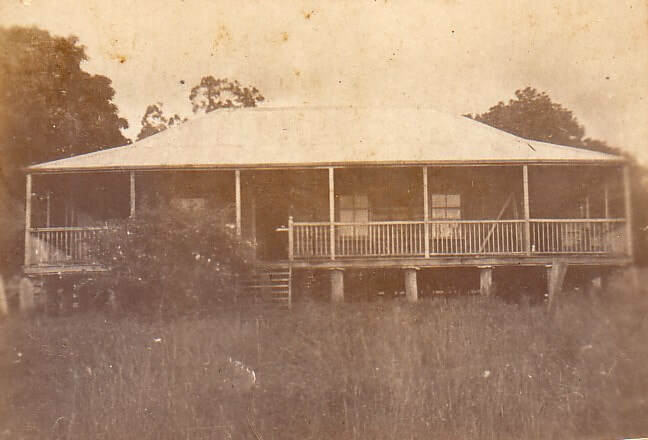 Edgar Stephens who built historic Cedar Glen Homestead lived in Brisbane in his early years and his father, John, managed the Brisbane Courier, owned by his brother T.B. Stephens, for 12 years until 1874 when the paper was sold. 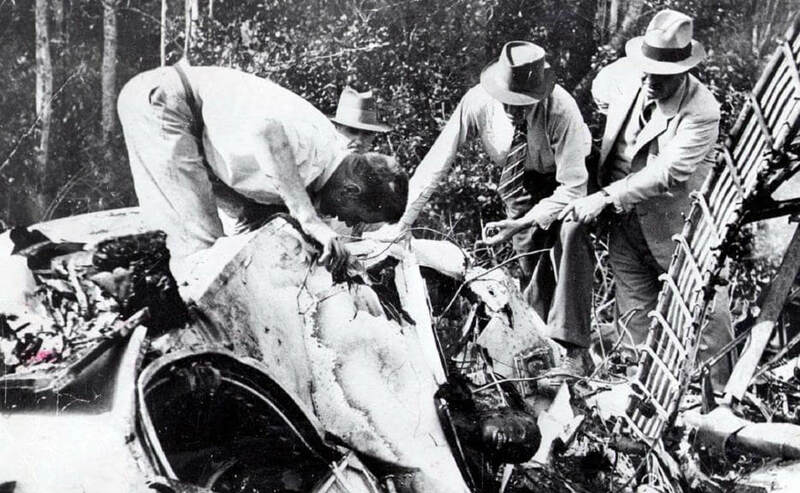 Edgar started his working life in an office in the city but decided the country life was for him, and with his brother William he started a dairy farm at Coopers Planes. He took up land at the Lost World in 1882 and acquired Cedar Glen at the turn of the century with the homestead being built in 1901. Edgar farmed in partnership with his sons, and the family owned substantial holdings in the Lost World area. Edgar died in 1941 and since then most of the family land has been sold and the Cedar Glen 4th generation property is now 1050 acres. The historic Cedar Glen Homestead still stands today and is maintained in mostly its original condition. It is now the central hub of Cedar Glen Farmstay and is used for dining and accommodation. 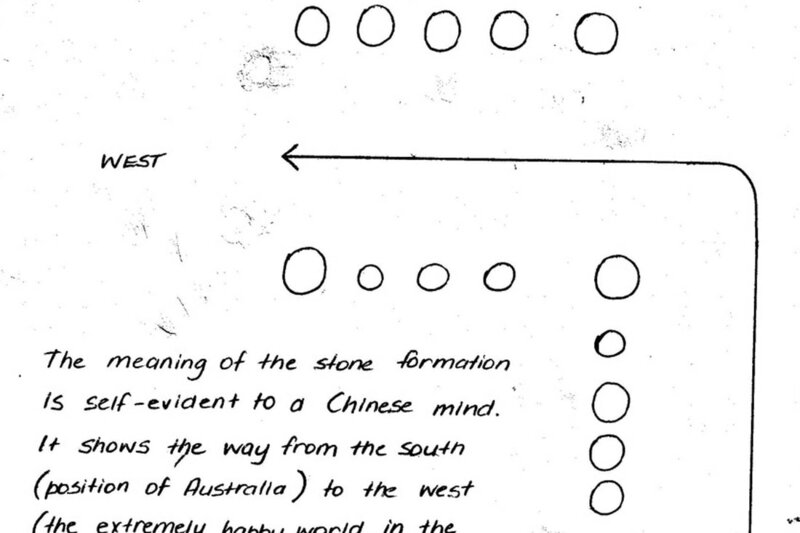 Thought to be in the employ of AW Compigne circa 1850 there is evidence that Chinese Shepherds once lived and worked in our valley. The local Beaudesert Historical Society has erected a plaque marking the site of one hut at Crebra Farmhouse and there is also a grave nearby. The Kerry 'wash pool' can also be found at Crebra Farmhouse. Now used for fishing, picnicking and exploring by guests, 'The Washpool', was once the site where the sheep were dipped to remove the soil and dirt that had collected in their fleece since last shearing. St John's Lodge was made famous as being haunted in Bernard O'Reilly's book 'Over the Hills'. The remnants of St John's Lodge and a memorial plaque can be found at Crebra Farmhouse.